It looked interesting and fun; it's not something I've ever done before and I wanted to see how I felt about sharing more of myself online, something I don't usually do. I thought it would be fun exercise for Fashion Revolution Week and tying those two things together felt like the perfect fit. I'm not convinced I would do this challenge again, to be honest. It would be fun to do the challenge alongside others but I generally found it to be quite stifling, style wise. Perhaps it's the way I dress but I didn't feel I learned all that much from it. I'd much prefer to do something similar to Andrea's 7 Days of Outfits instead. That people think it's "cute"! 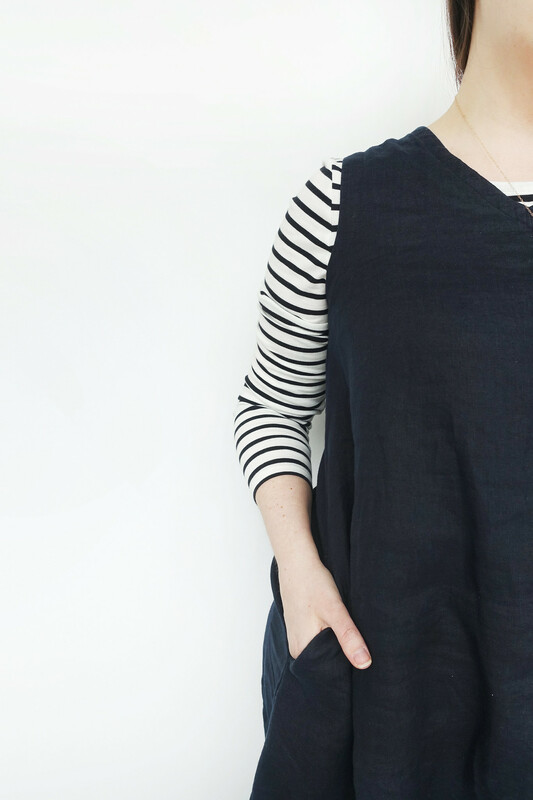 I enjoyed breaking out of my habit of throwing on a comfy dress to work in the studio; this challenge made me wear things I wouldn't usually wear to work, it gave me a boost and made me feel good on days where I would choose comfort over style. I also realised I enjoy having options; as much as I'm sometimes happy to wear the same outfit two or three days running, I don't particularly like having my options limited so drastically. I really liked the Thought Marcel Blouse and Tricotage Ella Skirt combination, it was simple, comfortable, and received quite a few compliments as did the Everlane Dress and Elizabeth Suzann Trench. None of them. I don't think that's a bad thing either; I'm not overly interested in pushing the boundaries of my style. I have reached a place where I know what I enjoy wearing and I've created a wardrobe full of items that reflect that. Yes, I don't think I should have included knitwear, I should have realised I was going to have to add extra layering pieces due to the unpredictable English weather. If (and it's a big if) I did the challenge again I would completely exclude knitwear, which would allow room for more versatile outfit choices. No but I really wanted to. I received a couple of items in the post and it took every ounce of my willpower to resist wearing them. I was good at sticking to the rules and only wearing what I was allowed to during the ten days; I frequently had to throw on a big coat for extra warmth but outerwear was originally excluded from my challenge anyway. 1 | Pushing Boundaries. This challenge really pushed the boundaries of my comfort zone. I'm quite reserved when it comes to sharing myself online so posting photographs of my outfits on Instagram Stories wasn't something that came naturally to me. Saying that, I really enjoyed doing it; I noticed an increase in engagement and I connected with more people by putting myself out there and sharing more online. 2 | Outfit Changes. It was fun to ditch my work clothes and wear outfits I wouldn't usually wear to the studio but I missed being able to switch things up when I headed out for the afternoon or evening with friends. There wasn't enough variety for me. Most of my clothes can be worn in various different combinations but only when I have access to my complete wardrobe and two pairs of shoes just wasn't enough. I felt stifled by the lack of choice. 3 | Surprise Comments. The most frequently used term to describe my outfits when I shared them on Stories was: "cute." It took me by surprise. As a 30+ woman it isn't really the look I'm going for - not that I'm offended! 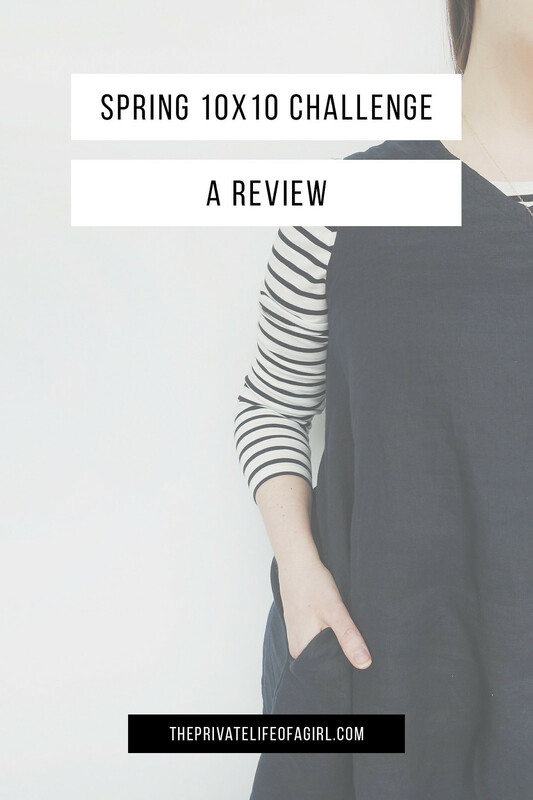 In my wardrobe audit I described my style as functional, understated, and comfortable; it's interesting to know how other people see it! I'm just not entirely sure what to make of it and if I need to adjust my style at all. 4 | Laundry Troubles. This was a real bugbear for me. Getting an item dirty can wipe out two or three outfit choices unless you run an extra load of laundry. Usually I would stick a piece of clothing in the wash and wait for laundry day; with the 10 x 10 challenge I had to get it in the wash and have it dried within a day or so, which is frustrating and wasteful. 5 | Tricky Weather. The weather in the UK is unpredictable at the best of times and during the ten day challenge it was no different. It snowed on one of the days - something none of us were prepared for! It's very tricky to dress when the weather is all over the place especially when you only have ten items to choose from. I'm not convinced the 10 x 10 wardrobe challenge is so great for this country. 6 | Accessories Enhance. I leaned heavily on my accessories. I switched between the two watches, a pair of earrings, and a necklace; these pieces added the finishing touch to most of my outfits. I found I really enjoyed adding these little flairs of detail even if they were quite subtle. 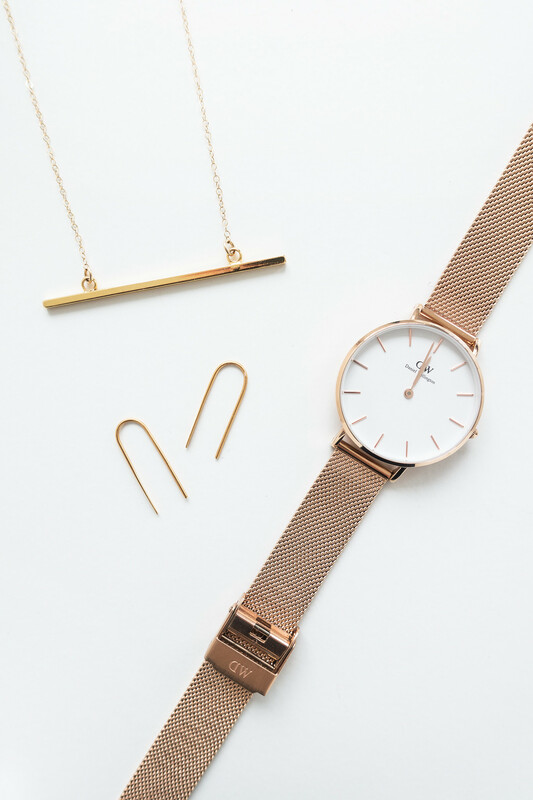 The new Daniel Wellington Classic Petite Watch has a beautiful soft gold design, petite clock face, and mesh strap. I either wore this one or the silver version most days paired with either a Horizontal Bar Necklace or Arc Earrings.